Despite the UK’s burgeoning coffee culture and our fondness for flat whites, we remain a nation of tea drinkers. About 84 per cent of Britons consume tea or a herbal infusion every day. Increasingly it is not just the taste of tea that appeals, but the health benefits. 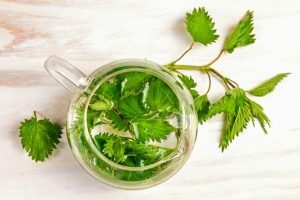 A new study has shown that herbal teas have nutritional benefits: drinking peppermint tea can improve the memory and camomile has been proven to help us to relax. Quality matters too, Wilkinson says. “You tend to get what you pay for. A more expensive tea is likely to be produced with better-quality ingredients and have a higher potency than a bog-standard brand.” Check labels for flavourings, as opposed to the natural ingredients themselves. Infusions made with fresh mint leaves or camomile buds are a less processed option, but are also likely to be not as potent as some commercial teas. Sales of fruit and herbal teas increased by 31 per cent between 2012 and 2014 to £76 million. With endless varieties available, we can select from matcha to turmeric, liquorice and camomile teas, all of which promise different health benefits. Here we look at which ones really work. Nettle tea has been shown to help to control blood-sugar levels, particularly in people who are overweight and at risk of developing diabetes. One study discovered that nettles had a significant effect on the glucose levels of people with type 2 diabetes. Nettles also contain histamine and formic acid, as well as vitamins and minerals, and they have been shown to curb the release of the chemicals that trigger hay fever. A study at the National College of Natural Medicine in Oregon found that half the volunteers who were given freeze-dried nettles experienced a reduction in symptoms. Used for centuries as a health aid in what is modern-day South Africa, rooibos is said to help to treat everything from hay fever and asthma to eczema and nausea. It is caffeine free and contains antioxidants and small amounts of minerals, including calcium, potassium, iron, zinc and magnesium. Studies at universities in Japan and South Africa have suggested that the tea’s antioxidant profile helps to boost the immune system. Camomile has long been heralded for its sedative effects. According to a recent study involving 180 volunteers at the University of Northumbria by Dr Mark Moss, camomile had a calming effect, temporarily slowing memory and attention speed. However, there are other reasons for drinking it. 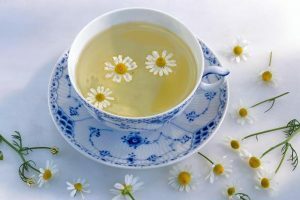 A study from the University of Texas looked at the effects of camomile tea on men and women aged 65 and older over a seven-year period. After adjustments for age and health conditions, regular consumption lowered the risk of death among the women by 29 per cent, but it had no effect on the men. A decade ago scientists at Imperial College London suggested that camomile tea helped to boost the immune system by increasing levels of hippurate, a product of some plant-based compounds known as phenolics, which help to fight infections such as colds. Peppermint tea has been linked to many health improvements. Most recently it was found to improve memory. A study by Dr Mark Moss at Northumbria University found that peppermint tea enhanced and aroused mood and cognition, helping to improve long-term and working memory. “We found that those people who had drunk the peppermint tea had better long-term memory,” says Dr Moss, and could “remember more words and pictures that they had seen”. 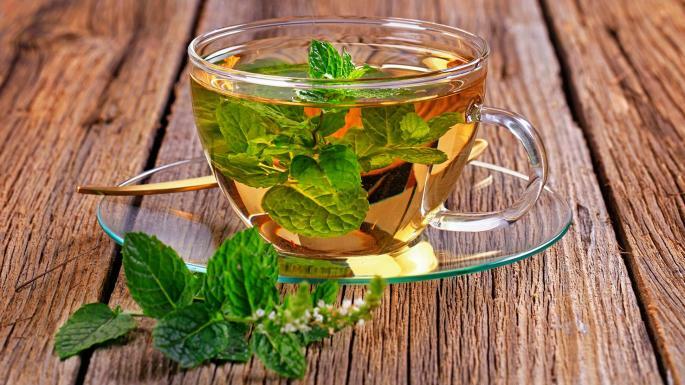 Naturopaths often recommend peppermint tea for improved digestion; it can also help to reduce stress. If you choose only one tea, go for turmeric. Studies have confirmed that the spice contains a unique range of compounds and valuable essential oils that boost health. Its benefits are mostly down to curcumin, the pigment in turmeric that gives it a bright yellow colour, and dozens of clinical trials have shown the spice can play a significant role in preventing everything from irritable bowel syndrome and arthritis to certain forms of cancer. 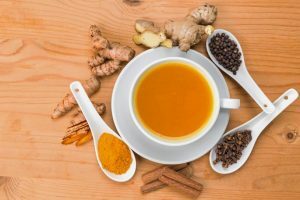 Consumed regularly, the curcumin in turmeric tea may also help to reduce inflammation of neural tissue, which is linked to Alzheimer’s disease. There’s plenty of proof that green tea is helpful in warding off illness and disease. Last year scientists at the Institute of Food Research in Norwich suggested that beneficial polyphenols in green tea act on a key signalling molecule that helps to reduce the risk of chronic diseases. Other evidence suggests that 600 to 900mg a day of the polyphenols in green tea (about three cups a day) is helpful in the prevention of diabetes, cardiovascular disease and in aiding weight loss. 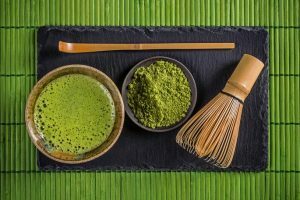 However, it seems that links with green tea and cancer prevention have been overplayed — a review found the evidence to be “highly contradictory”. Widely used in herbal medicine, fennel has therapeutic uses, including as a digestive aid and to help to ease coughs and sinus problems. Iranian scientists suggested that it might also reduce the symptoms of premenstrual tension. In research presented at the 2013 European Society of Human Reproduction and Embryology’s annual conference, it was revealed that women who took drops made from fennel seeds for three days before their period until three days afterwards experienced a drop in the severity of PMT symptoms. 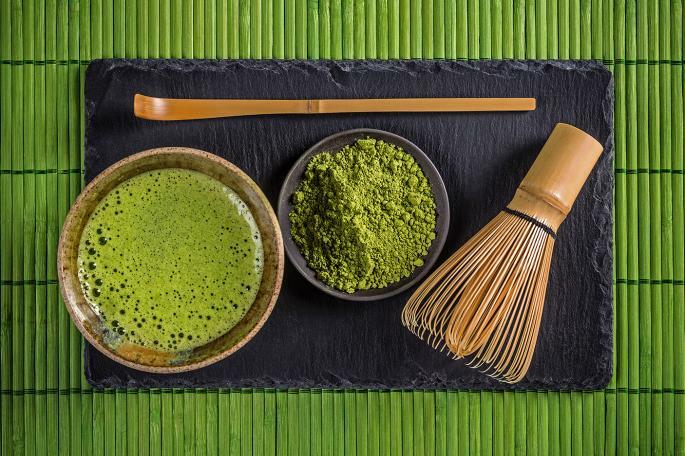 A favourite of the clean-living brigade — the actresses Gwyneth Paltrow and Charlize Theron are reportedly fans — matcha is made from ground green tea leaves. It is rich in catechins, an antioxidant that can boost immunity and give clearer skin. Studies have shown that matcha provides three times more polyphenols than regular green tea — because it is powdered, you consume the leaves as opposed to infusing them in water — with one of the catechins linked to fighting viruses, cancer and heart disease. However, studies looking at matcha’s benefits are few and far between, so many of its benefits are anecdotal.